GReads! 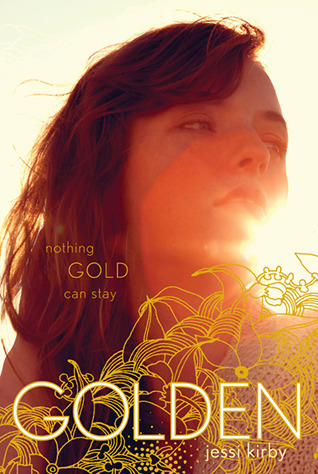 : Blog Tour: Golden by Jessi Kirby + Giveaway! Blog Tour: Golden by Jessi Kirby + Giveaway! As part of the blog tour, hosted by Mundie Moms, author Jessi Kirby has stopped by today to discuss all things Golden. There is so much richness in Jessi's writing, that it was difficult to choose which questions I wanted to ask her. From the setting, to the characters, and all the inspiration that made this story what it is, I chose questions which I thought were interesting and would provoke others to pick up Golden. It's easily been placed in my top favorite books I've read, and I encourage others to experience its beauty for themselves. About the Book From Simon & Schuster: Seventeen-year-old Parker Frost has never taken the road less traveled. Valedictorian and quintessential good girl, she’s about to graduate high school without ever having kissed her crush or broken the rules. So when fate drops a clue in her lap—one that might be the key to unraveling a town mystery—she decides to take a chance. G: Your stories are placed in such vivid locations that as the reader it makes me feel as though I'm actually there. What made you choose the setting for Golden? Do you have any personal ties to this place? J: I definitely have personal ties to the setting in GOLDEN! I didn’t call it by it’s real-life name in the book, but Parker’s story is set in my hometown, Mammoth Lakes, CA. It’s a small ski resort town that felt beautiful but tiny at the same time. I did a blog post on it a little while back, sort of a visual tour of the real places behind some of my favorite scenes in the book. G: Which scene in Golden did you first envision (non-spoilery of course)? J: Hmm…this is tricky without being spoilery! Those revelatory scenes really were the first ones in my mind. Beyond that though, a scene I pictured really early on was the night of Shane and Julianna’s accident—the storm, the icy road, and the frozen lake. G: I love the idea about the notebooks, and how each student was asked "what is it you plan to do with your one wild and precious life?" It caused me to reflect on my own life and ask myself the same question. 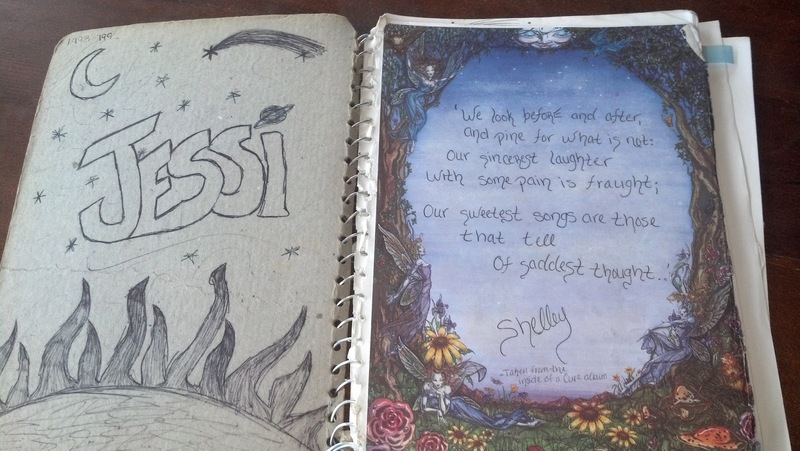 What would teenage Jessi have written in her notebook? I wrote mostly poetry in my notebooks, but if I’d been asked to answer that question back then, I would have said, without a doubt, that I wanted to be a writer and live a life of passion and inspiration. And then I would’ve gone and expanded on that in overwritten, flowery prose-- which is exactly what I did in my “Personal Statement” essay for college applications. I wish I had it still. I just remember it was about the color red and talked mainly about living an inspired life. G: Since I'm a huge music fan, I have to ask, were there any songs or artists you pulled inspiration from while writing Golden? If not, is there a song now that resonates with you when you think of this story? J: Of course! I make pretty extensive playlists for each book I write, but if I had to narrow it down, I’d say there are two songs that I think of when I think of this story. 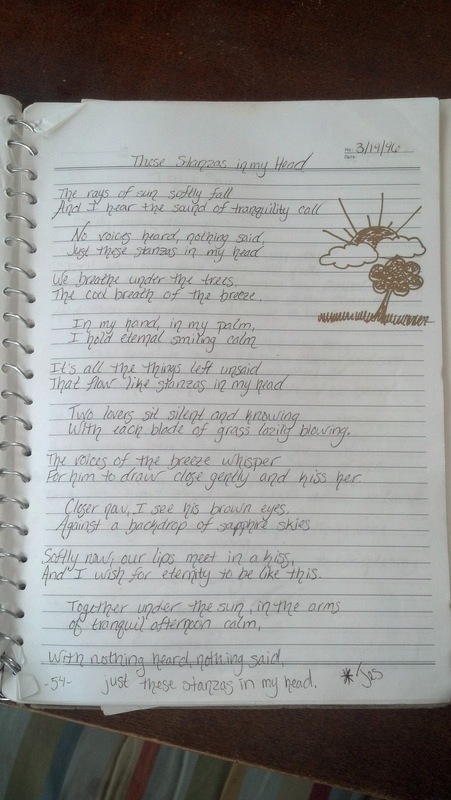 The first one, “Arms,” by Christina Perri, is Julianna’s song in my mind. It’s beautiful, and sad, and hopeful all at the same time. And Parker’s song is “Little Cosmic Girl” by Brett Dennen. I love this one! For me, it sums up all that she learns throughout the course of the story. G: Between Tyler [Moonglass], Rusty [In Honor], and Trevor [Golden], which boy has been your favorite character to write? I like how you always put a bit of snark in your boys, but keep them loveable too. J: Ooh, that’s a tough one! I’d like to say Tyler or Trevor because they’re both sweet and funny. But if I’m being completely honest, Rusty was the most fun to write—for the exact opposite reason! G: What future projects are you working on now; anything new that you've written that you can share with us? If there's a future story in the works for Tom Petty's "Learning to Fly" I might just die a little, hehe. J: You’re so funny! I LOVE that song, and it’s still hanging around in the back of my mind, waiting for the right story to come along. I am working on the next story right now though! It’s due out Summer 2015, and is a love story through and through, but a very complicated one. Taylor Swift’s “Treacherous” is THE theme song. I will leave it at that. Thank you so much Jessi for answering my questions & for giving readers more insight to your beautiful story. The Giveaway: Jessi Kirby Prize Pack! Thanks to Simon & Schuster, fill out the form below for a chance to win GOLDEN + Jessi Kirby's other books. This giveaway is open to US residents only, participants must be 13 years or older, & PO Boxes are not accepted. Good luck! This is the first time I've heard of this book! Added to my tbr list! awesome notes! I love this post!! Thank you for being on the tour Ginger! Thank you for the interview and the giveaway. I just finished reading Golden and I really loved it! Everything I read about this book makes me want to read it even more! I loved this chance to get a better understanding of Jessi Kirby and those notebook doodles are so pretty! I am so excited to read this book!